Generally, you should plan to tip your room steward $3.00 to $3.50 per person, per day, and plan an equal amount for your dining room waiter, and half of that for the busboy. On most ships, tip the maitre d’ or dining room captain only if you ask for special favors or table-side service; $5 to $10 is normal. Bartenders and wine stewards are tipped 10 to 15 percent, but many cruise lines will automatically add this gratuity to your bar or beverage bill. Check the bill to see how it is handled. Also, tips for special services such as salon & spa treatments and room service are left to the discretion of the guest, depending on services rendered. Individual ship profiles found under the “Ships & Ratings” heading above will provide precise guidelines for tipping on any ship. Guidelines will be repeated onboard, probably by your ship’s cruise director. Gratuities are placed in envelopes from your cabin’s stationery supply. Generally, passengers on cruises of 10 days or less will tip at the end of the cruise. 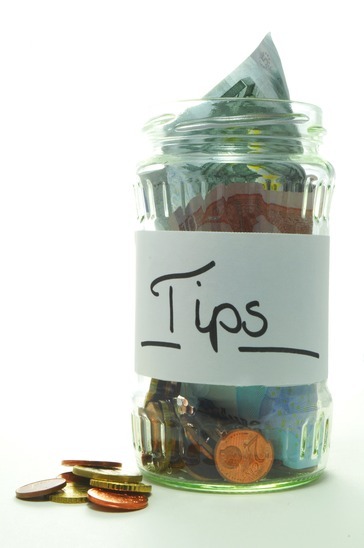 On longer voyages, tipping weekly may be the norm. As part of a new trend that seems likely to grow, Carnival, Costa, Holland America, Norwegian, Oceania, Princess and Cunard now charge gratuities to your account automatically. Norwegian, for example, charges $12 per day, per guest, to cover service in the various dining rooms and your room steward. If you feel this amount needs to be adjusted, whether increased or decreased, arrangements can be made onboard the ship, generally at the end of your cruise. A few lines do not encourage tipping, including Regent (Radisson) Seven Seas, Seabourn, SeaDream Yacht Club and Silversea. Crew members are reportedly higher paid and not tip dependent. Many passengers tip anyway for outstanding service or special favors.